CBS’ Limitless has had a roller coaster ride of a first season. It debuted with such great numbers that there was scarcely any reason to worry that it would be cancelled, and it received an order for a back nine of episodes surprisingly early on. In the months since, however, ratings for Limitless have dropped significantly, so a Season 2 isn’t quite the sure thing that it once was. Executive producer Craig Sweeny already has big plans for where he would take the show in a second season, however, now that lead character Brian has had his big secret about the dangerous AZT drug revealed to the FBI. I think that unless something were to change fairly drastically, there would be no place for him there. His utility to them is as somebody who can take NZT without the harmful side effects… so Brian’s time at the FBI is over. Craig Sweeny’s tease of Brian’s future to IGN is too tantalizing not to be explored in a second season. Brian’s ability to take the brain-enhancing AZT without experiencing deadly side effects has made him invaluable to the FBI throughout Season 1; now that his immunity shots are out in the open, the status quo for Limitless would have to change in what could be a very exciting way. That said, Craig Sweeny does promise that the fundamentals of the show that have made it so thrilling to fans in Season 1 will stay intact. So, we’re going to make some changes to the show, but it will remain essentially – we do find a way for it to be Brian taking the NZT working with Rebecca and Boyle and a couple new members on the team, solving crimes and having fun a week-to-week basis. So despite the current state of things at the end of “Finale: Part One!” at the end of the season, we are in a different place, but not as radically different as it feels like we’re in right now. All in all, Craig Sweeny sounds like he has a solid plan for the future of the series. The plot picking up momentum and throwing some high velocity curve balls at the end of a season always works to build to a cliffhanger, and the reveal that the state of things will not be entirely destroyed by the finale's end means that what we loved about Season 1 might not be entirely altered for Season 2. Unfortunately, we still have no word of whether or not we’ll be getting that Season 2. CBS has already renewed a ton of shows – including NCIS for another two seasons – but Limitless has been neither confirmed nor denied for a second season. Given that CBS hasn’t renewed any of its freshman series so far, however, there’s no reason to panic just yet. The best we can do is watch, hope for the best, and see for ourselves if the finale episode entitled “Finale: Part Two!” deserves its exclamation point. Be sure to tune in to CBS at 10 p.m. 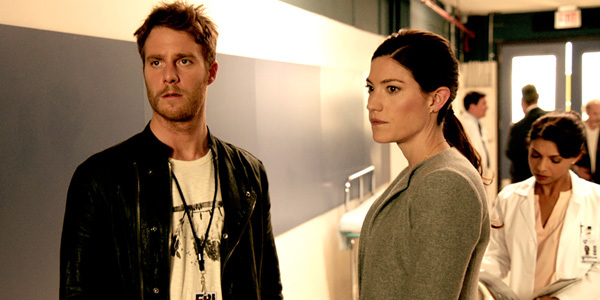 ET tonight to catch the Season 1 finale of Limitless. Take a look at our schedule of summer TV premiere dates to see when your favorite shows will return to the airwaves.